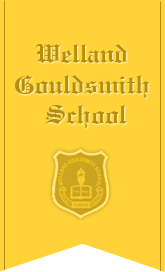 Tuesday, 9th February, 2016 was a day of great honour for Welland Gouldsmith School, 288 Bepin Behari Ganguly Street,. 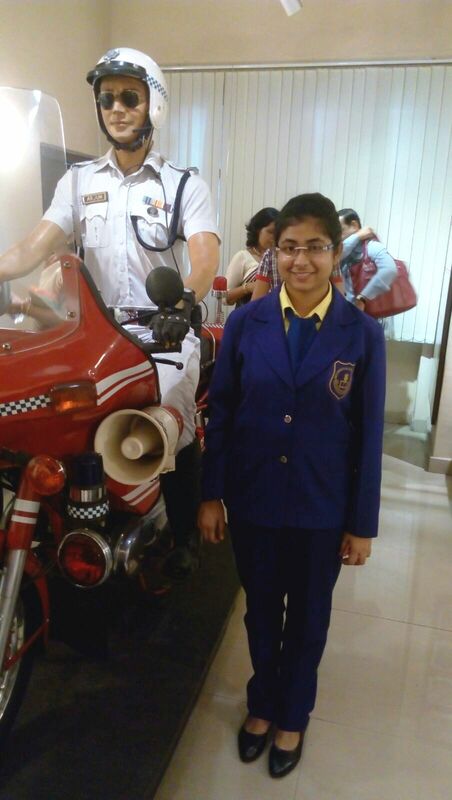 I, Monalisa Poali, a student of Class XI-B, was bestowed the honour of holding the position of the Officer-In-Charge of the Head quarters Traffic, Kolkata Police for one day declared as the winner of the Kolkata Police Essay Competion, my height of excitement knew no bounds Representing Welland Gouldsmith School and winning laurels for the school gives me more pleasure and pride than ever expected. 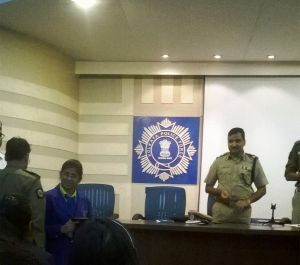 The Kolkata Police jeep arrived at 9:40 a.m. sharp at the school premises. Accompanied by our respected Headmistress, Mrs.L.Jackson and a Police Officer in the pilot car, we entered the Lalbazar Police Station at 9:55a.m.. Escorted by senior Officers, we were taken to the Press Conference Room. 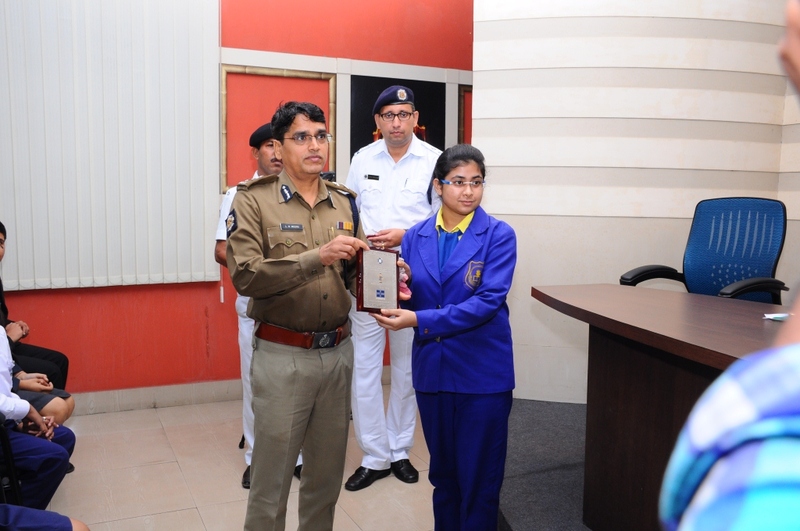 Twenty five best schools from all over Kolkata participated in this Awareness Programme Road Safety videos were shown and each of the participants asked to give their views on “How to reduce accidents and improve traffic in the vicinity of schools.” The programme was presided over by our Respected Commissioner, Mr. Rajeev Kumar, Deputy Commissioner - Traffic, Mr. V Solomon and many other senior inspectors. 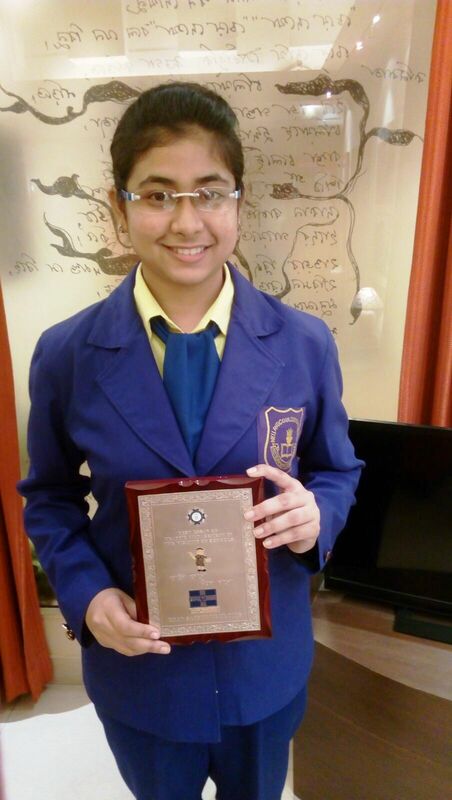 Every student was awarded with a memento for their commendable work in essay writing. After the seminar was over, we were taken to one of the private departments of Kolkata Police, the Traffic Control Room. It was an enthralling experience to visualize every street of the “City of Joy” from the highly specialized CCTV Cameras. 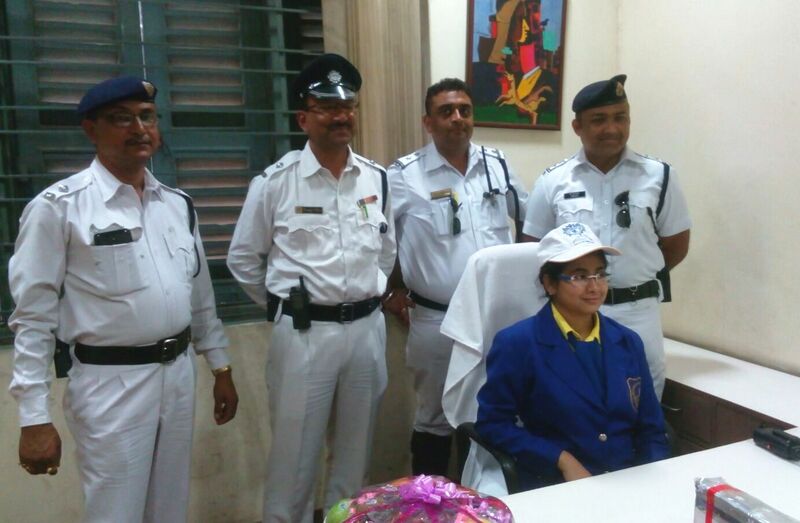 Without any prolonged delay, we then visited the lounge of the Police Department. A beautiful museum exhibited rare artifacts belonging to both, pre-Independence and post Independence era. One of the statues worth mentioning there was that of an artificial police Inspector on a motorbike. After short break, I was taken downstairs along with the other participating schools for a photograph with the Commissioner. 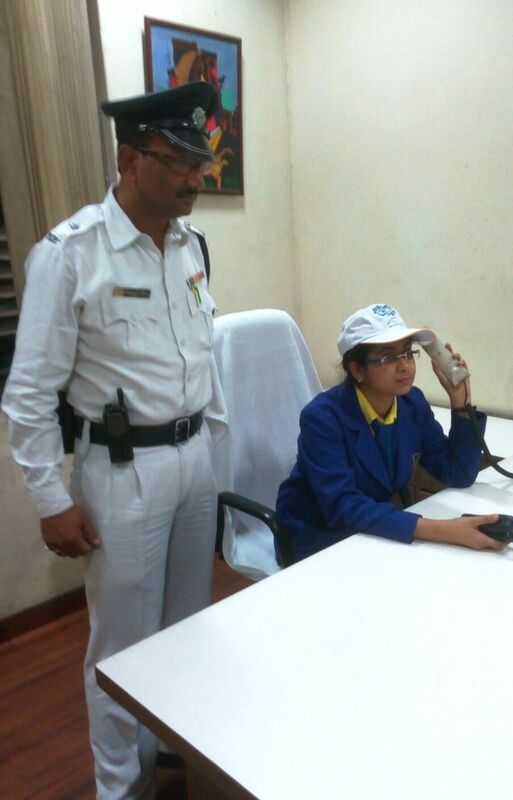 The most interesting part of the experience begin with the visit to the Traffic Headquarters at Dalhousie. With a walkie-talkie in hand and surrounded by sergeants and media, I was handed over the authority to regulate the traffic operations. Words fall short to describe such a brilliant experience. The most challenging experience was interacting with the media. At 12:45 p.m., Mrs. Jackson and I finally visited the Head Quarters Office saluted by the other officers, I went straight to the Officer-in-Charge’s room sat on the prestigious seat. Then attended phone calls, went through the lo books and had a great interview with the newspaper reporters. I was taken on a short stroll through the other rooms of the department to check the functioning of the office. Finally, I returned to my office and was gifted with presents from the Kolkata Police Department which included a memento with my name printed on it, a basket of fruits and a collection of books. Eventually, it was time to return. Quite unwillingly, I ventured for my house in the Kolkata Police Car and was dropped to my residence with due honor and respect. Such a high honour is rare and I consider myself extremely blessed to have received one. I want to heartily thank our respected Principal, Dr G R Hart, Mr. M.S.Calvert, Academic Administrator, Mrs L. Jackson, Head Mistress, Ms. J Michael, Vice Principal and our teachers for gifting me with this opportunity. Such an exposure has heightened my confidence and given me a boost to participate in such other events in future.